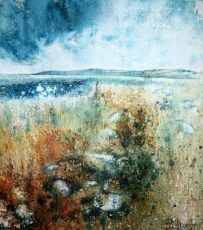 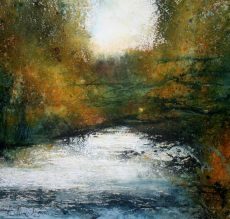 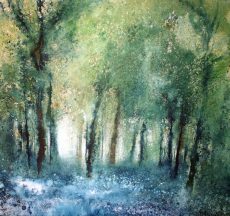 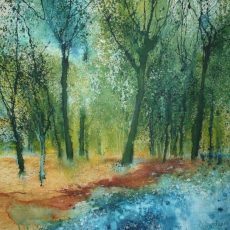 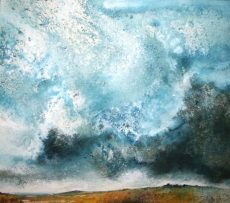 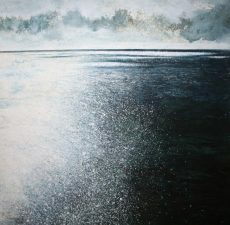 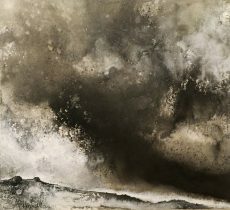 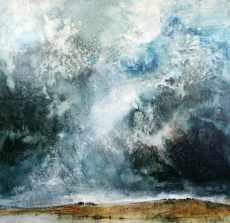 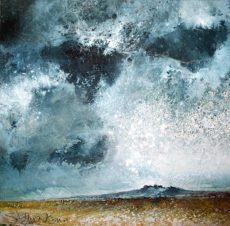 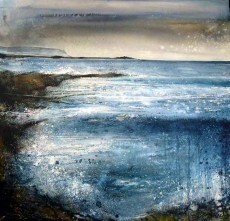 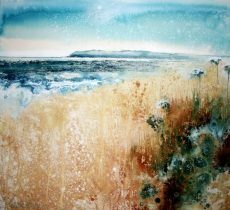 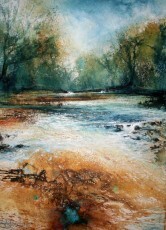 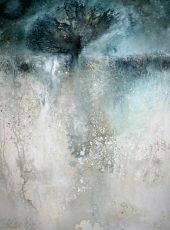 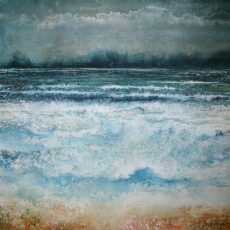 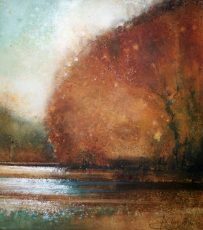 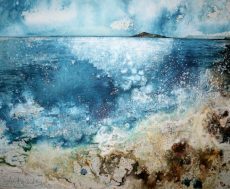 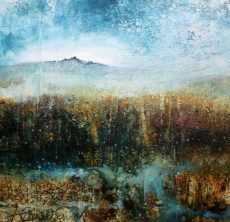 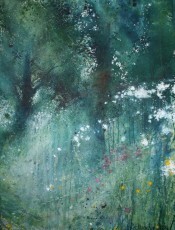 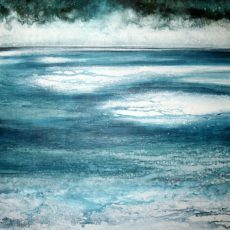 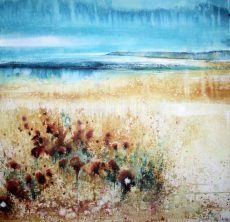 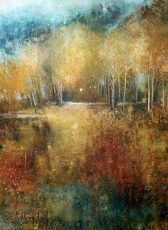 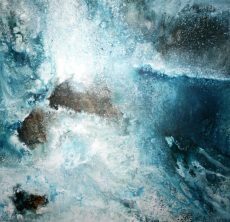 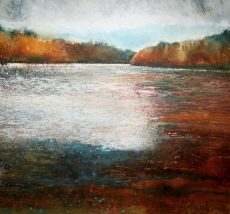 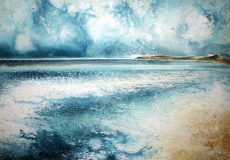 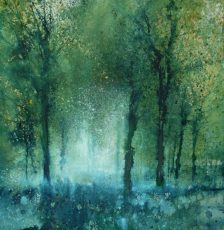 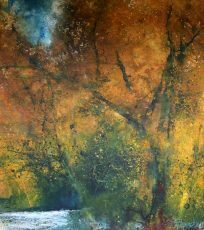 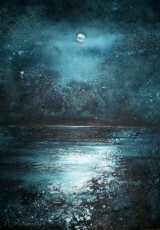 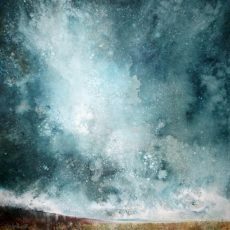 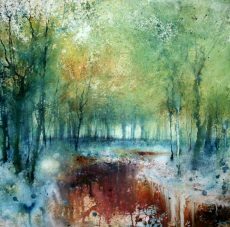 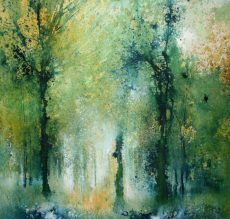 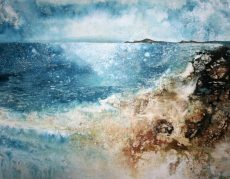 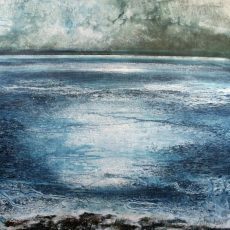 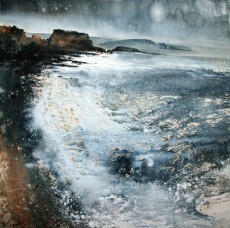 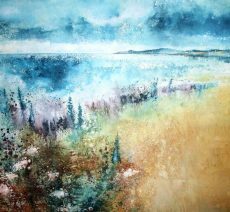 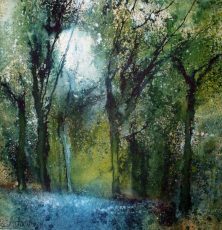 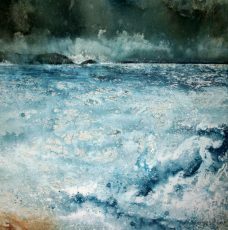 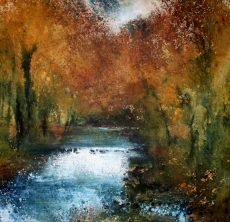 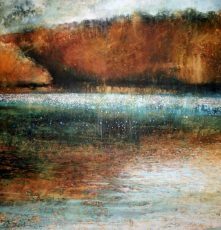 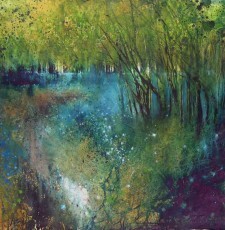 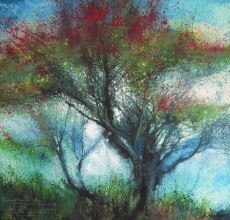 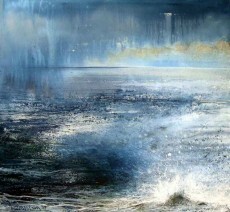 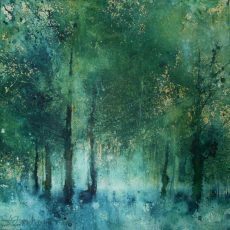 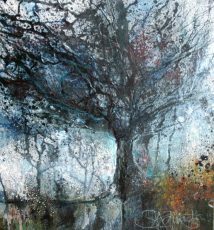 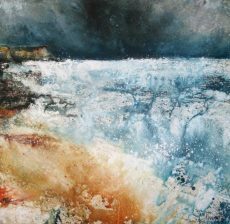 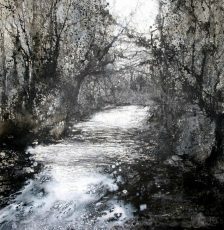 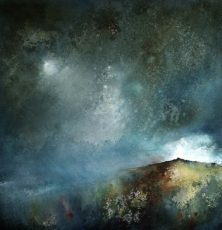 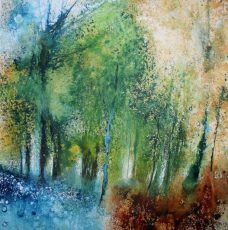 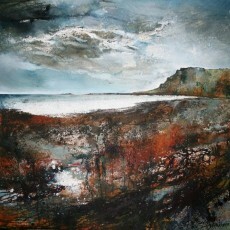 Stewart Edmondson’s wonderful work has been a much loved feature of Dart Gallery since 2006. 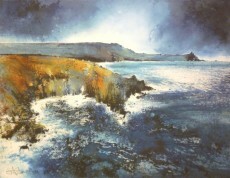 Over the years his paintings have featured in numerous mixed and solo shows at the gallery. 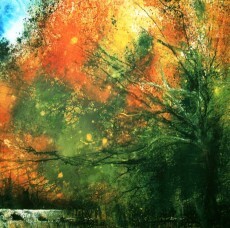 The outdoors has always called Stewart. 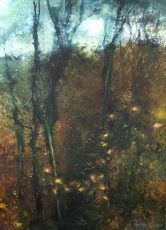 His passion for art and design combined with interests in biology and geography in his first career as a Landscape Architect. 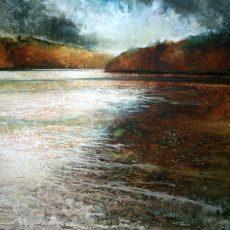 In 2002 Stewart took the brave decision to embrace his desire to paint and began his journey to being a full time artist. 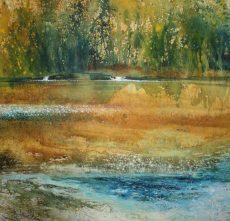 Stewart’s work excels at capturing the rugged and fragile beauty of the world around us. 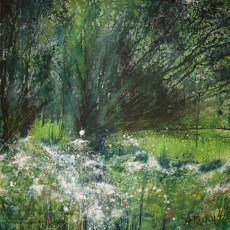 He finishes paintings in his idyllic studio on Dartmoor but he begins them out in the wild. 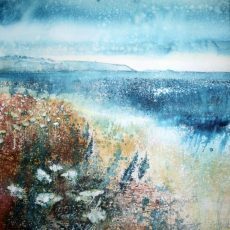 Stewart roams the moors, walks the coastal paths and wanders through the woodland of South Devon. 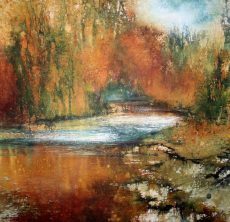 He sketches and paints as he moves, building a direct relationship between the world he loves and the work he is creating. 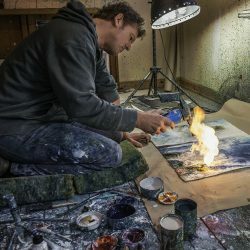 Using many materials (even fire!) 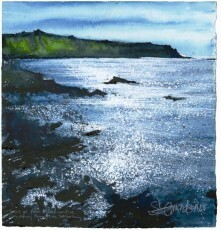 the paintings he creates never fail to convey the essence of the locations he has chosen. 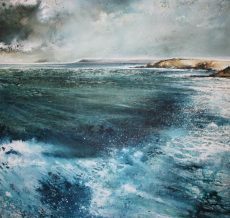 Whenever you visit the gallery, you’ll find a collection of Stewart’s originals and exclusive limited editions in stock. 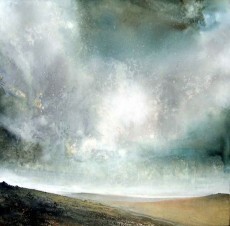 If you join our mailing list via the link below you will receive your invite to future shows. 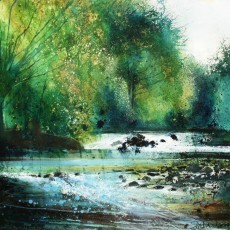 Our next solo show for Stewart launches this Easter and will feature over 35 beautiful new works. 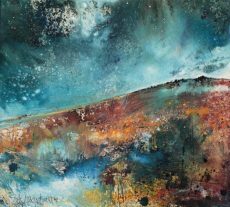 Join us for the First View on Saturday 20th April 2019.